London is a city of infinite versatile possibilities with the most diversified background It is the oldest perfume, food, color and language melting pot. Here are the top perfumes capable of bottling the true London soul. London evokes a roller-coaster of emotions. Sometimes it behaves like a formidable, eccentric, rainy city; however most of the time, London behaves like a curious child entranced with the world and unmoved by its veiled cruelty. London’s true color is gray, but not because of its gray skies but because of its blending similarity brought by the apparent contrast of black and white colors, beauty and vastness at their best. London’s ever changing nature intertwines with the spectrum of diverse personalities, which in turn proves to be a perfect source for perfume inspiration. The True London scents are minimalistic and contemporary, but with a heavy dose of historic importance. Some of them do not originate from London, but this is also the case with 37% of the Londoners who now call London their home. A great part of London’s charm lies in its multicultural roots, don’t you think? This perfume epitomizes the rebellious London nature, the birthplace of music which once pushed the limits of what was back then perceived as acceptable. Forbidden Affair moves me back to streets of London inhabited by street musicians, uplifting spirit in every possible way. 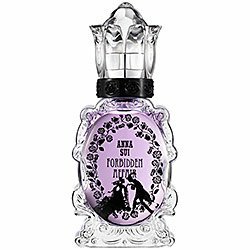 This floral and fruity perfume is flirtatious and seducing, just like this city which will crawl underneath your skin, and you will never ever want to wash it off, just like the lingering scent of forbidden man. Even though there is a certain kind of cultural animosity between Paris and London, I am certain that their close proximity can be looked at from a different perspective. The rivalry between these two cities is reminiscent of a rivalry between siblings, always competing against each other, but also loving each other unconditionally. 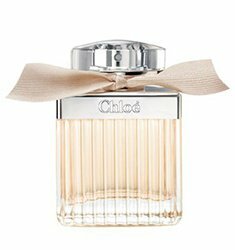 That is why Chloe’s eau de Parfum speaks of London as soft and delicate, rather than its stereotype as the staunch character. The Parisian elegance has brushed off London big time. It is seen in the resilient style of women who never leave their homes without a white pearled necklace. London is a perfume steeped with history and culture, just like the city which once was the center of the world’s spice trade. 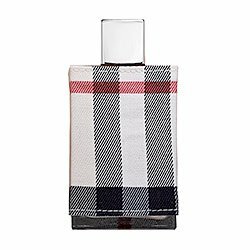 London (the perfume) pays a tribute to the city that now is the home to the finest modern art, theatre and architecture, music, street style and of course, sarcastic art ists. London dances on the tune of its own drum beat in a sophisticated rhythm, rich, opulent and unique. If you are ever wondering which perfume you need to wear in order to chase away the gray skies. London’s scents are magical. They are unexpected, forever changing, but at the same time comforting and nurturing. London is unpredictable, and so are all of the perfumes listed.